Police in West Lothian are appealing for witnesses following a series of break-ins and attempted break-ins to business premises in Uphall and Broxburn, West Lothian. The incidents happened between 1.10am and 4.30am on Friday 11th May. A number of business premises were broken into in the Uphall Cross area with cash registers, keys and business equipment stolen. Business premises in Broxburn including one in East Main, a sports club in Albyn Place, and an Industrial Unit off Greendykes Road where a safe, laptops and computer equipment were stolen. 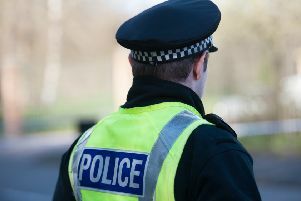 Two men were seen acting suspiciously on East Main Street and Fergusson Road, Broxburn and riding dark coloured BMX bikes on West Main Street, Uphall before leaving the area on their bikes towards Broxburn. Detective Constable Jo McCall of Livingston CID said: “These break-ins have resulted in numerous businesses sustaining extensive damage and theft of property. “We are eager to trace those responsible and ask that anyone who saw anything suspicious in the area at the time, contacts police. Anyone with information is asked to contact Police Scotland on 101, quoting incident numbers 0168 of 11th May 2018, or make an anonymous report through Crimestoppers on 0800 555 111.